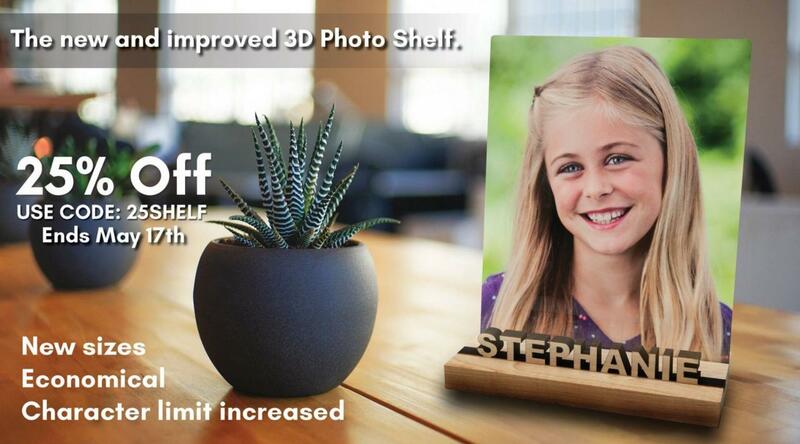 Our new and improved 3D Photo Shelf is more economical AND you can save an additional 25% when you order one before May 17th! These could be great for Mommy & Me sessions, Fathers Day, Grads, the possibilities are really endless! Use the code 25SHELF upon check out!